The Wilson Six.One Comp adult tennis racket has been designed for recreational players looking for maximum power and control. This head light racket weighs 269g (9.4oz.) and has a 100in2 (645.16 cm2) head size; the string pattern is 16 x 19. Fused graphite construction of the racket guarantees more power, while QuadriForm technology provides stable control. 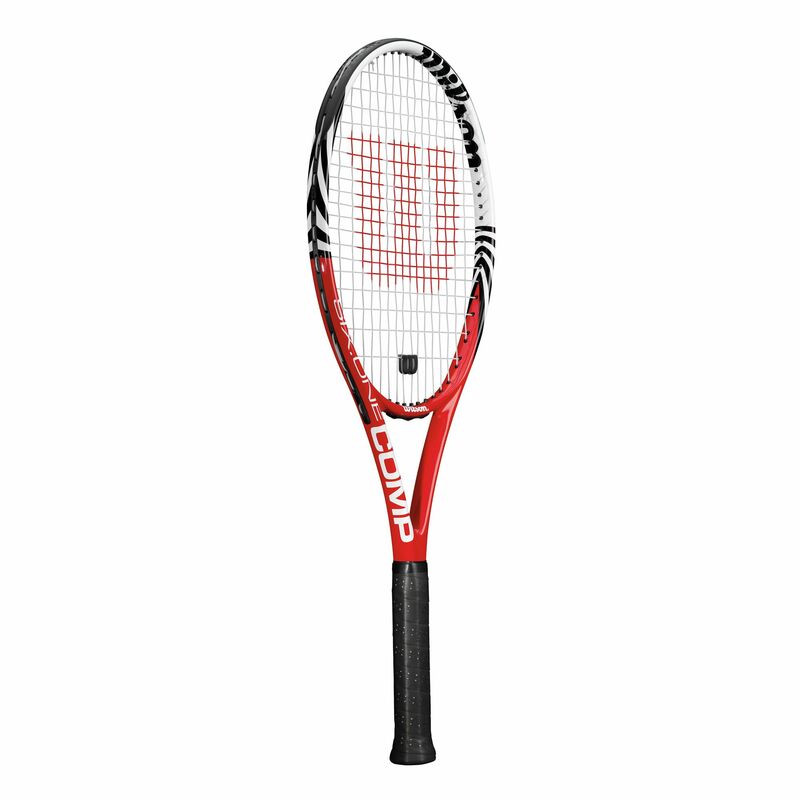 The racket is supplied with a vibration dampener and a Cushion Tech grip for enhanced comfort. for submitting product review about Wilson Six.One Comp Adult Tennis Racket.